I often get asked how to get a job at a tech startup as a fairly non-technical guy. Here’s my story how I made it happen. That’s a question I struggled with for a really long time. I was a recent college graduate living in the Bay Area looking for a job at a startup. But I didn’t have much direction beyond that. I wanted to work for an ambitious company that builds products I care about and are impactful in people’s everyday lives. But instead I spent months applying for the wrong companies and consistently was rejected. It sucked. In August, I had the opportunity to purchase a Boosted board. With my dream board in sight, I realized how amped I would be to work at Boosted. I believed in their vision and had been evangelizing their brand for the previous 7 months. I’ve been through that process dozens of times. I never once got an interview. 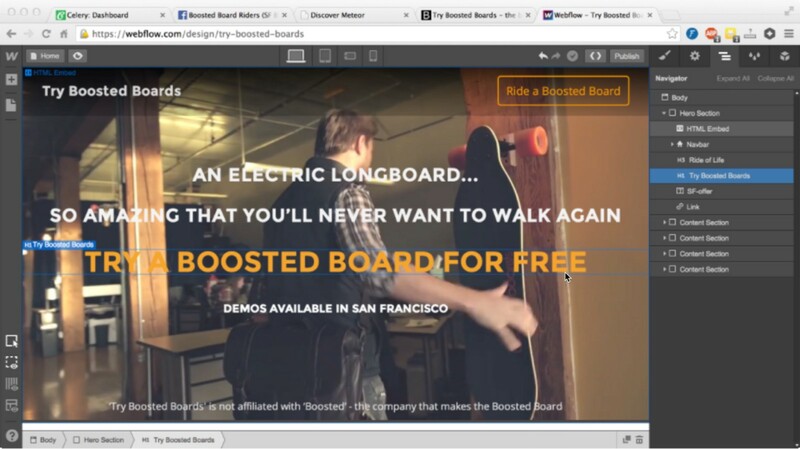 To show my love for the company’s mission and stand out from other applicants, I built tryboostedboards.com. 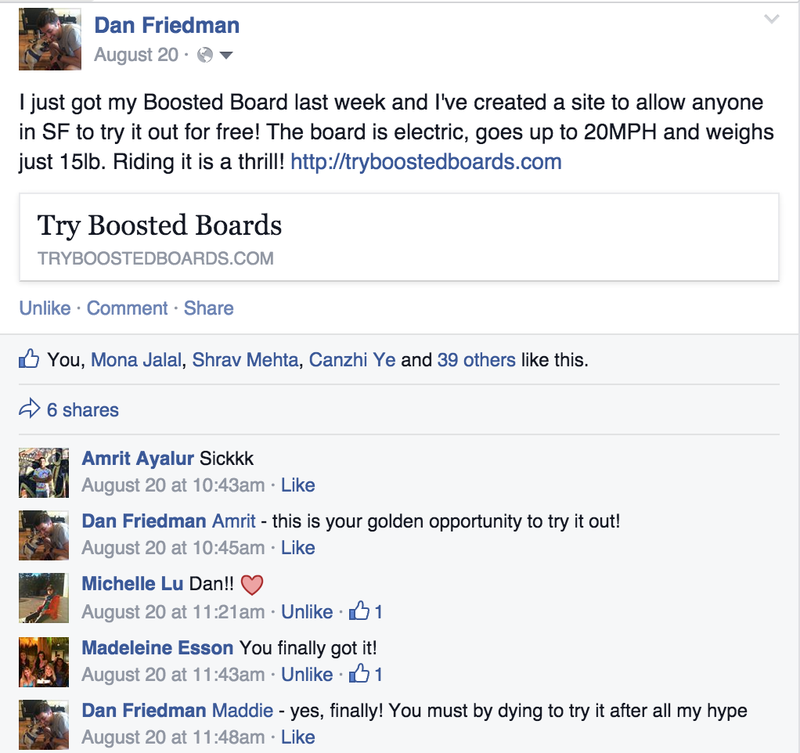 On that site, I collected signups to demo my board and re-branded the Boosted board as something awesome, fun and practical. Luckily, when I launched on Product Hunt, I received 96 upvotes and 49 official signups in just a few days. Built the site using webflow.com to launch it in just 2 days. Over the next four weeks, I demoed to over 300 people between my site, friends, strangers on the street and people at hackathons. I asked tens of people to tweet about their experience. 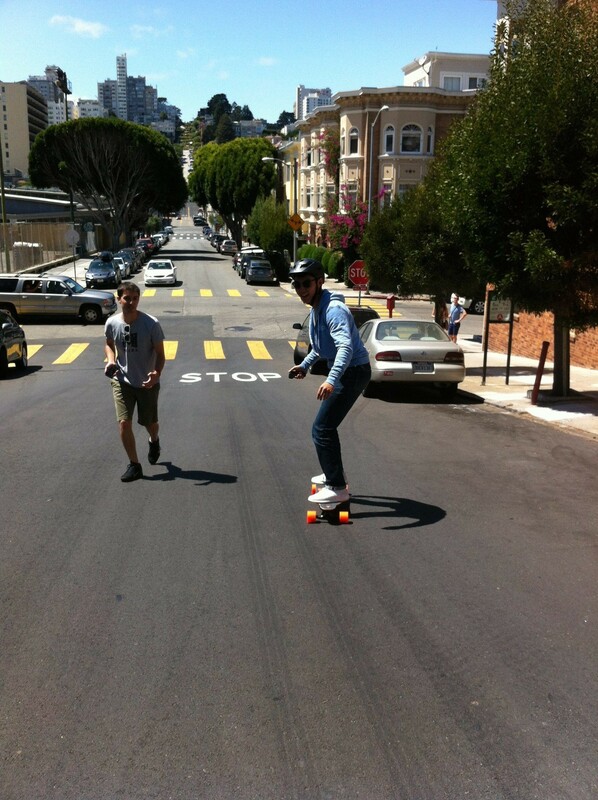 I showcased their reviews on my site and drove lots of traffic to boostedboards.com. The board easily climbs hill…I, do not. I often woke up at 6:30am just so I could meet people in the business district of SF (SoMa) at 8am to give them demos. I stayed out past 8pm to continue with demos to groups of startup tech workers. Every person I demoed to thought I worked for Boosted. Why would this guy take so much time out of his day to demo an electric skateboard? People thought I was crazy. But I was sharing a product that I cared about. I didn’t work at Boosted at the time, but I had a personal interest in their success. Eventually I interviewed with the Boosted cofounders. After my interview, I kept on demoing, updating my site with reviews and getting people to tweet after trying the board. I consistently updated Matt on my efforts. I waited weeks after the interview for any sort of feedback or next steps. I didn’t hear back. My dad and several friends told me to give up. I was disappointed. I imagined telling my close friends, who had worked so hard to help me in these efforts, that I didn’t get the job. They saw my tens of social media posts, demo pictures and gave me feedback on Try Boosted Boards. Had I invested so much effort for nothing? Eventually, I got the offer. My hard work paid off. I now continue to work hard at Boosted. I led the new product launch, demo events and close lots of sales. Why am I sharing this story? My point is that the odds were stacked against me. I never sold consumer products. I never skateboarded. I never worked in the transportation industry. And surely there were tens of other applicants who applied for the same position that looked better on paper. Yet, I didn’t let these things hold me back. I often get asked for advice about how to get a job in tech as a non-technical guy — people in my situation just 2 years ago. Now I have this story to share with them and I hope you do too. Looking for feedback or further advice? Email me at dan@dfriedman.co and I’ll help out. Huge thanks to the people that helped and inspired me over those 6 months of my life. Dave Fontenot, Alex Schiff, Matt Privman, customer service at Webflow, Hany Rashwan, Zain Shah, James Elkins, Erik Torenberg, Ryan Hoover, Raj Vir, Marco Chiang, Jeremy Cai, Canzhi Ye, Paul Menchov, Adam Williams, Tom Erdmann, Hunter Owens, Asher King Abramson, Maran Nelson, Alex Banayan, Matt Tran, Sanjay Dastoor and Jessica Ewing. Everyone that showed up for the Try Boosted Boards demos. If you want a Boosted board ride and you live near Atherton or Mountain View, email me at daniel@boostedboards.com and I’ll hook you up. Thanks to Anuj Abrol, Dave Fontenot, and Tom Erdmann.